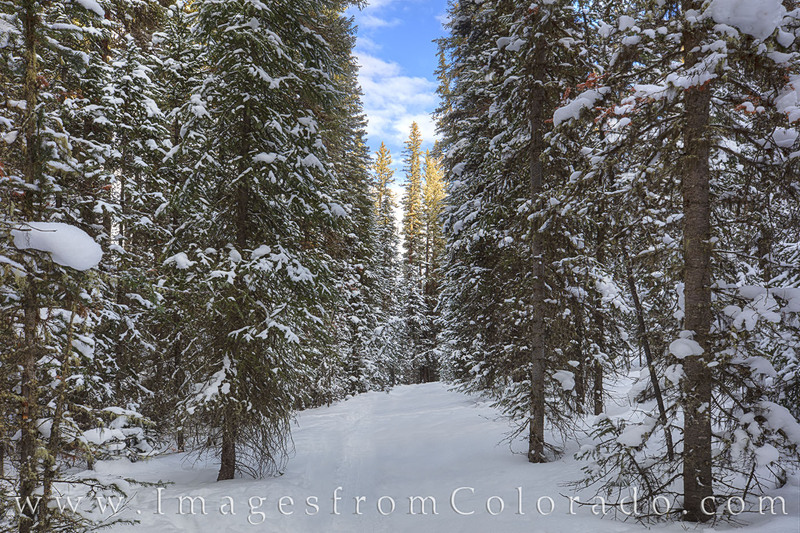 Lost in the Byers Peak Wilderness, my journey took me on pristine trails of fresh snow. The trees, covered in white, took on a fairy tale appearance. The trail was quiet and I’d found my solitude. Just a few miles from Fraser and Winter Park in Grand County, this is one of my favorite places to explore. While I had contemplated attempting to gain the summit of Byers Peak, I refrained. Instead, I’d wait until summer to hike to the top. It is a beautiful view from up near 13,000’. This mornings trek was enjoyment enoiugh for one day. Photo © copyright by Rob Greebon.